SeaWorld will block a proposal that would allow its shareholders to vote on the creation of coastal sanctuaries for retired orcas, using a procedural technicality. 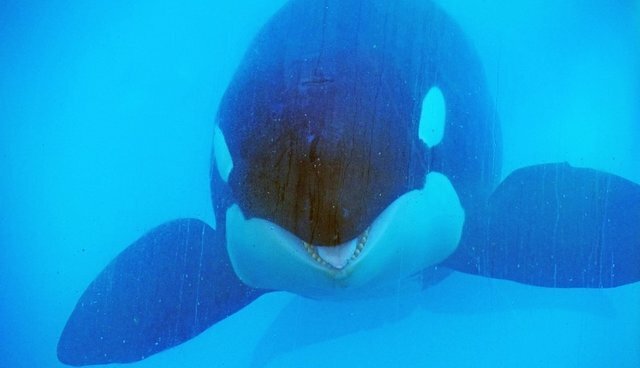 People for the Ethical Treatment of Animals (PETA), which owns 80 shares of SeaWorld Entertainment, Inc., submitted the proposal -- but shareholders will never see it, the Orlando Sentinel reports. SeaWorld, which went public on April 19, 2013, says it will file its annual "proxy statement" -- a document that must be mailed to shareholders with any proposals to be voted on that year -- on April 17. The company is choosing to invoke a rule to bar shareholders that have not owned shares for over a year (meaning, none of them), which means PETA's proposed orca sanctuary will never get a vote. In other words, SeaWorld could allow shareholders to vote on the creation of an orca sanctuary, but has (legally) decided not to. PETA says that the marine park is using this bit of financial maneuvering to prevent stakeholders from approving the sanctuaries. "SeaWorld shareholders should have an opportunity to improve the company's reputation and preserve its future by making the progressive decision to transfer these intelligent mammals to sea sanctuaries where they finally have the opportunity to be whales again," Jared Goodman, PETA's director of animal law, told the Sentinel. PETA will have a chance to again propose the orca sanctuary vote through the same procedure next year. In that case, SeaWorld will not be able to deny the proposal based on the grounds of a year's ownership, though Goodman says that SeaWorld may try to exclude the proposal using other maneuvers.